Update: Booktrope is no more. Sandra Hutchison interviews fellow Awesome Indies author Massimo Marino about his decision to republish his indie titles (and future titles) at Booktrope, an eBook publisher that is staking out new ground between traditional publishers and independent authors. 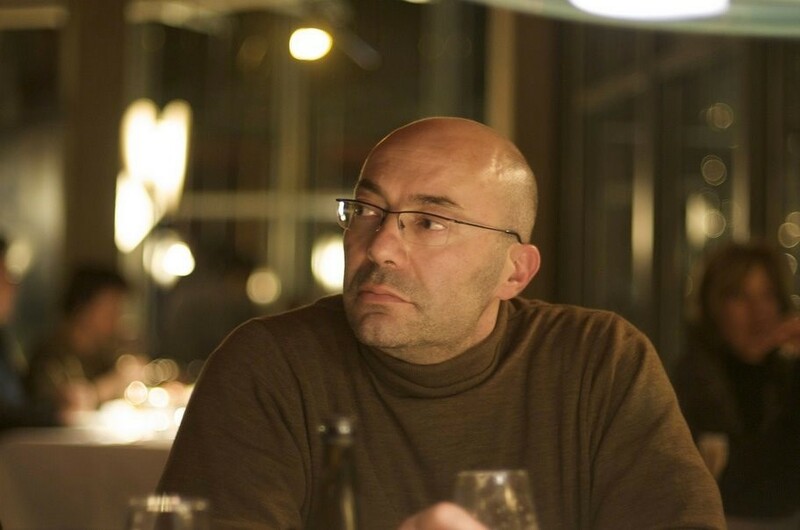 Massimo, give us a short history of how you came to be an indie author. Writing, for me, started early in my childhood. My dad received Astounding Stories. I wasn’t allowed to read those magazines, but they also had astounding covers. Based on those covers, I created stories in my mind, then put them down on paper so that I could re-read and never forget them. I didn’t think in those days about plot and action, character development, building my voice, or what themes and belief systems I wanted to cover. The place and the setting came from those cover pictures, and I wasn’t that concerned with temporal or structural issues. I stopped when I started my studies in physics at the university, but the urge to write always lingered. Then, after all seemed forgotten, a story found me and kicked hard to come out. It lingered for over a year, so I joined a writers’ group for peer review and honing my skills. Like most, I started submitting manuscripts to agents. I got standard rejections but also some encouraging personal notes from agents. They pointed to “what the market wants” and said “nobody takes a risk on something at the edge.” But I decided I had to take the risk and prove to myself and others that writers cannot react passively to the market, but must be encouraged to innovate, forget about what sells, and write what they must. For you, what have been the greatest rewards and frustrations of being indie? The greatest rewards happen frequently: they are the words from readers, the thank you messages, comments like “from now on I’ll read whatever you write.” As an Indie writer, this is encouraged and I believe readers feel less intimidated and will often contact an Indie writer without fear, as opposed to trying to write to Stephen King, for example. The frustration is realizing that it does not matter whether your story is good, or is so well-edited that readers find no issues, typos, mistakes, or find it completely engaging. Some readers still give you no chance because you are an independent author. The stigma is less than it was only a few years ago, but you’ll never convince the reader who only buys from the New York Times bestseller list. We met through Awesome Indies. How have that and other communities for readers and writers been important to you in your career as an author? To be a good writer, you must make your ego fall apart like a soaked sponge. That will do marvelous things to your writing. Too many believe they are at the zenith of their craft and work entirely alone; thus, the majority produce unreadable stuff. They fuel those readers who say any writer who does not write with a publishing house is a joke at best. You’ve recently transitioned from being an indie author to being published by Booktrope. What inspired you to make that change? The glass ceiling. It is there, and I wanted to see how it was working with a traditional publisher. I met with a wonderful agent at a writers’ conference. She read my trilogy and liked it. She introduced me to the publisher. They accepted “Daimones” and asked for the others. So Booktrope is now publishing the “Daimones Trilogy” and will publish my fourth novel, too: “The Law” – YA Urban SF. I work with excellent professionals, from the publicist, the editor and proofreader, to the cover artist. The staff is extremely supportive: they show a genuine interest in promoting and selling my books. After all, they can only make money if the books sell. Incidentally, the investment already made by them on the trilogy has exceeded my Indie budget for each book by not less than a factor of 10. What are your major goals as an author right now? The same as before. Getting better line by line. I was accepted at SFWA, the Science Fiction & Fantasy Writers of America. There I’m meeting great authors and learning even more. “Daimones” has also been considered for nomination at the next Nebula Prize. While I don’t dare even think about that possibility, that would meet a major goal. What’s your best advice right now for aspiring writers in your genre, science fiction? You need to read: the SF classics, the big names, those who created new paths in SF, not those who followed. Then explore the current scene, from Scalzi to Howey, Crichton, VanderMeer. When you have read millions of lines from SF novels, you start to have the tools to help your imagination fire. 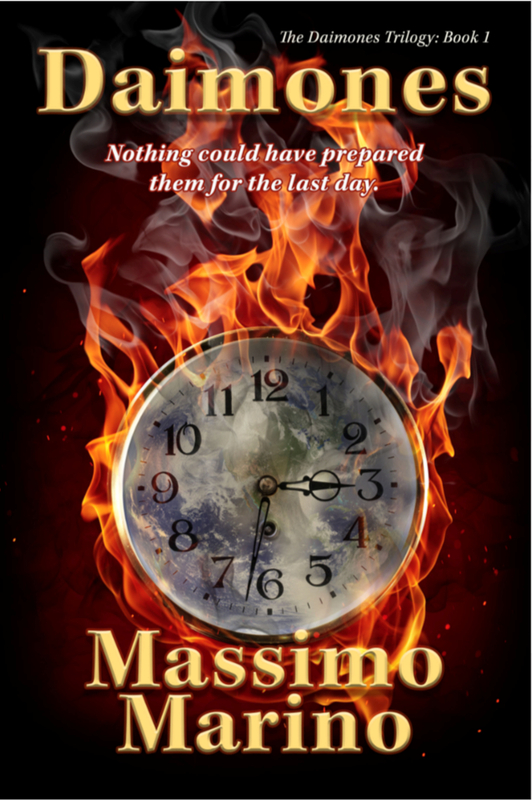 Learn more about Massimo Marino at his blog: http://massimomarinoauthor.com. Nothing could have prepared them for the last day. Explore the future of humanity in Massimo Marino’s sci-fi debut, Daimones, an apocalyptic tale that feels like it could happen tomorrow. You may never sleep through a windstorm again. Okay, this is Sandra, confessing that I have been curious about Booktrope myself. I found another point of view, one that is a bit less enthusiastic, from Tiffani Burnett-Velez at “My Year with Booktrope.” I believe, however, that her experience may be colored by timing. Many indie authors are noticing that it’s a lot harder to gain any traction out there today than it was when she self-published her first book.